- This commercial, fashion, and entertainment capital of India has a GDP of 209 Billion USD. - Mumbai is the capital of Maharashtra, and this port city handles over 70% transactions of the nation's economy. - Mumbai contributes to more than 6% of the total Indian economy. - It contributes 10% of factory employment, 30% of IT collections, 60% custom duty collection, 20% central excise tax collection, 40% of foreign trade collection, and 10 Billion USD in corporate taxes. - Mumbai has headquarters of NSE, BSE, RBI, and many other important establishments. - The 3 largest companies of India Reliance Industries Limited, Tata Group, and Aditya Birla Group operate out of Mumbai. 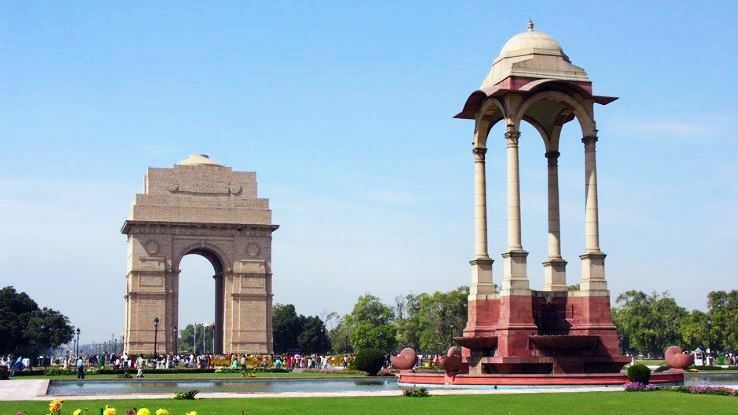 - The capital of India has an estimated GDP of 167 Billion USD. - As the capital it has high number of government and quasi government employees. - As the most lucrative retail market, Delhi attracts the most FDI. - Service sector contributed more than 80% of Delhi's GDP. - Key service sectors include Information Technology, hotels, banking, media, and tourism. - The urban expansion of Delhi has led to inclusion of other nearby towns and villages under NCR; some of these are Noida, Gurgaon, Faridabad, Rohtak etc. - Capital of West Bengal and ex capital of India, Kolkata has a GDP of 150 Billion USD. - Kolkata is a major port city and commercial hub of North-East India. - Like other major cities, now Kolkata has become an important destination for ious IT firms and BPOs. - Some global companies with headquarters in Kolkata include ITC Limited, Allahabad Bank, and Uco Bank. - Currently the IT sector is growing in the city at the rate of 70% and several SEZ are being set leading to rapid industrialization. - Bengaluru is the capital of Karnataka and is also known as the Silicon City of India because it gave birth to a number of IT companies at the turn of the millennium. - Its GDP is estimated to be 83 Billion USD. - Bangalore is ranked among the top 10 locations in the world that are preferred by entrepreneurs. - Bangalore employs about 35% of the IT professionals in the country. - Most techies that go abroad from India come out of Bangalore. - 65% of the aviation related business in India is conducted at Bangalore. - It has R&D and Engineering centers for companies like Boeing, Airbus, GE aviation etc Various popular aircrafts like Jaguar and Sukhoi 30 are manufactured by Hindustan Aeronautics Limited that has its headquarters in Bangalore. - Majority of silk industry work 35 Billion rupees operates from Bangalore. 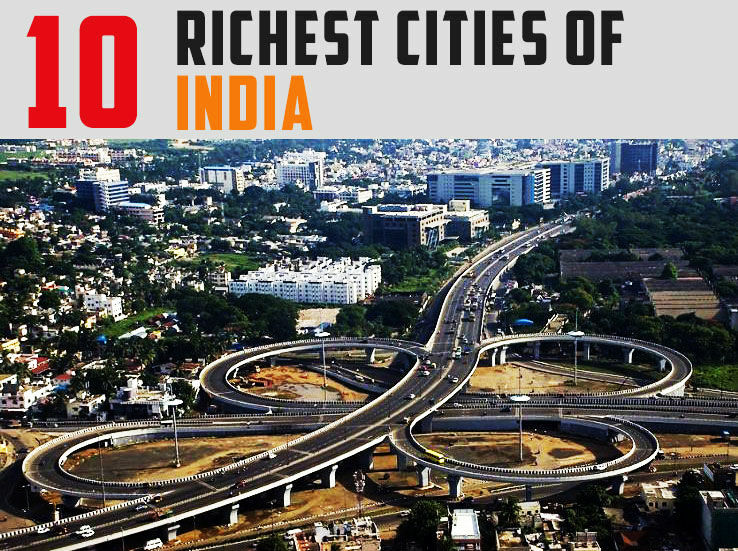 - Also known as the "City of Pearls", the GDP of Hyderabad is about 74 Billion USD. - Hyderabad and its suburbs have the highest number of SEZ in India. - Lonely Planet ranked Hyderabad as the 3rd best city in the world for tourism. - Also known as the "Genome Valley of India", the capital of newly formed Telangana has come to be recognized as the hub for pharmaceutical industry in the world. - A prominent IT city, Hyderabad has offices of Google, Amazon, IBM, and ious other international companies. - Chennai is the capital of Tamil Nadu and a primary port city in south India. - Its GDP of the city is 66 Billion USD. - The flourishing trades in Chennai are automobiles, software services, medical tourism, hardware manufacturing, and financial services. - Chennai is the second largest exporter of IT related services. - Chennai is the biggest electronic exporter in India, accounting for about 50% of the total exports. - Many automobile giants like Ford, Nissan, BMW etc have their headquarters in Chennai, hence the name "Detroit of India". - Ahmedabad is one of the most vibrant cities of Gujarat with a GDP of 64 Billion USD. - Adani Group, Nirma, Arvind Mills, Cadila, and Torrent Pharmaceuticals are some major international companies with their base in the city. - Ahmedabad is the largest supplier of denim, and the largest exporter of gems and jewelry. - With Mr. Narendra Modi at the helm, Ahmedabad is rapidly emerging as a financial hub in the western region. - Pune is the second largest metropolis in Maharashtra and has a GDP of 48 Billion USD. - The city has seen a sudden rise in popularity due to a number of IT and automobile offices that have been set here in the past decade. - World Bank is investing in the Pune food cluster to set up food and vegetable processing units. - With more than 250 German companies setting up their offices in Pune, the city has been the single largest hub for German industries for the past 60 years. - Surat's estimated GDP is 40 Billion USD. - The City Mayor's Foundation estimates the GDP to be 57 Billion USD by 2020. - Surat is known as the Diamond Hub of the world. - 90% of the total rough diamonds in the world are cut and polished in Surat. This percentage is 99.9% for India. - 90% of the diamonds that are exported from India go from Surat. - Also a major textile player, Surat has more than 380 dyeing and printing mills and 41,000 powerlooms. - 40% of India's artificial fabric comes from Surat. - Popularly known as Vizag, the GDP of this port city is 26 Billion USD. - Visakhapatnam has country's oldest shipyard and some of the largest seaports. - This largest city of Andhra Pradesh has heavy industries like GAIL, Vizag Steel, and Hindustan Steel. - Many Visakhapatnam residents earn their living through fishing and fishes like Tuna and ious other dried fishes are exported from Visakhapatnam. - Gradually, besides heavy industries, Visakhapatnam is developing into an IT hub.